The success of digital marketing depends on various factors. It requires understanding your marketing history, knowing what’s being said about your brand, and meeting the needs of your consumers. With so many different factors coming into play to realize digital marketing success, entrepreneurs easily can make mistakes that may hinder early growth in a company. The first thing any successful business person needs is a clear understanding of his or her market. The gap that a product or service fills is just the beginning. Marketing requires an in-depth understanding of consumer personas. Beyond a prospect’s needs, professionals should focus on how a prospect spends time, what other products or services the prospect likely wants, and where individuals who fit the persona are more likely to be living. Detailed information about your audience can only make your marketing efforts more pinpointed and accurate. Planning and organization are the keys to any type of success. Many marketers never achieve great success because they don’t have clearly outlined goals and a distinct plan of action. Planning does not mean brainstorming in a room of decision makers. It means writing out an analysis of your current needs, strengths, weaknesses, and goals. It means taking your budget and going through it line by line to determine where your marketing dollars will be best spent. And it means creating a written plan of action and measurement, and referencing all those documents regularly throughout the campaign process. You can’t do it all in the beginning. Marketing campaigns that are small, concerted efforts can be just as effective as large campaigns that aim to reach a wide audience. Start by focusing on the marketing personas your product or service will fit with naturally. Pick measurable goals that align with industry benchmarks you can track over a period of several months. Long-term goals are vital, too. Seeing meaningful results (even if they aren’t driving the bottom line) can improve momentum for reaching those long-term goals. Few marketing campaigns will achieve instantaneous results. Unless your first post goes viral, you’ll likely tweak and improve your pay-per-click, social media, and other digital marketing campaigns as you go. Social media campaigns tend to have a shorter turnaround time; pay-per-click campaigns tend to be midrange and take about a month and a half to deliver results. SEO strategies tend to take the longest of all. SEO drive campaigns typically take four to six weeks to get off the ground and may take as many as six months to a year to deliver meaningful goals. Digital marketing is a long race, not a sprint. Many startups fail to allocate a fair amount of money for digital marketing. Though some digital marketing activities can be completed on a shoestring budget, many require a strategic investment. Avoid spending money on tools you aren’t sure will work out for your company, and focus on hiring talent inside and outside the company that can help you reach your goals effectively and efficiently. Social media platforms are a fun and fast way to develop a marketing campaign, but focusing on too many at once may weaken the overall campaign. Try to keep your social media strategy targeted at two or three social media platforms your audience frequently uses, and regularly deliver relevant information to that demographic. Twitter, Facebook, and Snapchat are great social media platforms to start with. Depending on your business audience, you may also be interested in pursuing a targeted campaign on LinkedIn, Instagram, or Pinterest. Use what makes sense for your brand and market, not necessarily trending platforms. Content is the foundation of any successful digital marketing campaign. Without relevant, engaging, and insightful content, you can post information all day long and not see measurable results. Video, written, and graphic content that adds value are elements that will convert site visitors into long-term customers. Video content, in particular, is becoming a staple of digital marketing that companies can no longer afford to ignore. Entrepreneurs can start using video content with homegrown campaigns on Snapchat, Vine, and YouTube that are cost-effective and strike a chord with the right audience. The number of global mobile users exceeded desktop users in 2014, and most consumers now use their smartphones to access location information, reviews, websites, and applications. Companies that haven’t been paying attention to mobile technology will be forgotten and become obsolete. Responsive Web design and layered interfaces are sleek, user-friendly, and fairly easy to develop with the right professional help. 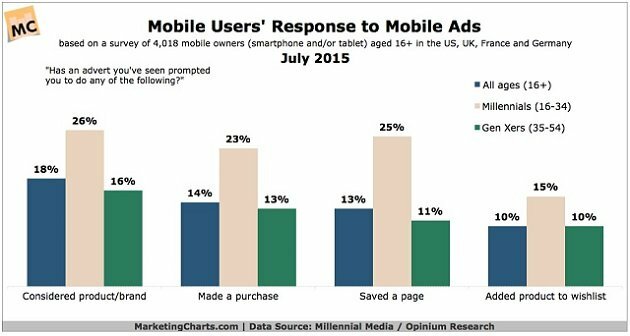 Mobile marketing should be synonymous with digital marketing at this point; it’s that integral to the success of a campaign. Coming up with the ideas and putting them into practice are only the beginning of a digital marketing campaign. After the initial launch, marketers need to use relevant metrics that confirm the ROI of a campaign. The good news is a digital campaign is not static once it has launched. You can continue to use analytics throughout the campaign period to tweak posts, keywords, and other information to better target your audience. Over time, your content will be optimized so that it meets and exceeds the goals you set in the beginning of the process. Beware any SEO or digital marketing agencies that push keyword stuffing, outbound link building, and other old-school methods. As Google’s algorithms evolve, old SEO practices are getting companies penalized. Focusing on providing valuable content and creating natural inbound and outbound links is the new strategy that SEO companies are adopting. Organic marketing will help you build a better ranking in search engines, and it’s more likely to appeal to users searching online for information about a company like yours. Digital marketing is incredibly important, but it should always be supported by more traditional marketing strategies. People still drive by billboards and react to the information they see there. The difference is that now print advertising includes digital marketing information. Social cues are ever-present in the bottom corner of magazine ads and on subway signs. You may even notice a print campaign entirely digital in focus. It may feature a hashtagged word or a Twitter handle. Mixing traditional and modern marketing strategies is the best way to build a multilevel campaign that has the potential to not only reach consumers but connect with them on a deeper level. Entrepreneurs have the opportunity to start from a fresh slate. Their brand personality and marketing campaigns can start out from any point of interest and transform to reflect both the brand and consumer interest. By understanding where to focus initial efforts, entrepreneurs and small-business owners can develop digital marketing practices that will fuel their bottom lines for years to come. Do you have tips, suggestions or experiences about digital marketing to share? Let us know in the comment box below! KNOW PEOPLE WHO'D LIKE TO READ THIS? SHARE!